Earlier this weeek, we caught up with Rouven Meidlinger, the developer of planlauf/TERRAIN, the delightfully diminutive LiDAR data rendering software that contains a truly impressive range of features, yet can run on a range of handheld devices in the field. DD: I understand that the original planlauf software was developed to measure vibration and potential defects in industrial machinery – how did you make the leap from engineering to archaeology? RM: Surface roughness is one of the most important factors for the quality of machined parts like cylinder heads or piston rods. The problem is that you cannot really see deviations in the nanometer range. So we developed a software to visualize and analyze microtopography. Some of the metallic surfaces looked very much like a terrain and when LiDAR data became publicly available, I started developing planlauf/TERRAIN. It soon turned out that pT is especially useful in landscape archaeology and so I focused on that. DD: Could you tell me more about the game engine inspiration? RM: The first visualization tests with standard techniques were quite disappointing. The rendering performance was poor, the models were huge and a workstation was needed. Even professional GIS software was not able to do what I wanted: to put 3D digital terrain models on tablets and use them in the field. So, the performance needed improvement. Luckily the gaming industry came up with many clever ideas over the last decade. Mesh decimation reduces the number of vertices and triangles, which is very important for a good rendering performance but you lose details. Normal mapping takes care of the details without affecting the performance too much. DD: What’s your favourite archaeology site/archaeological period? RM: I don’t have a favourite site or period. I just like discovering landscape features that aren’t obvious. It doesn’t matter whether it’s an imposing hillfort, a Roman camp or just a charcoal platform. All tell a story about the use of land a long time ago and that’s what fascinates me. DD: What first got you into archaeology – have you always been interested? RM: No, it all started about 10 years ago when I first noticed structures in the woods that I couldn’t explain. 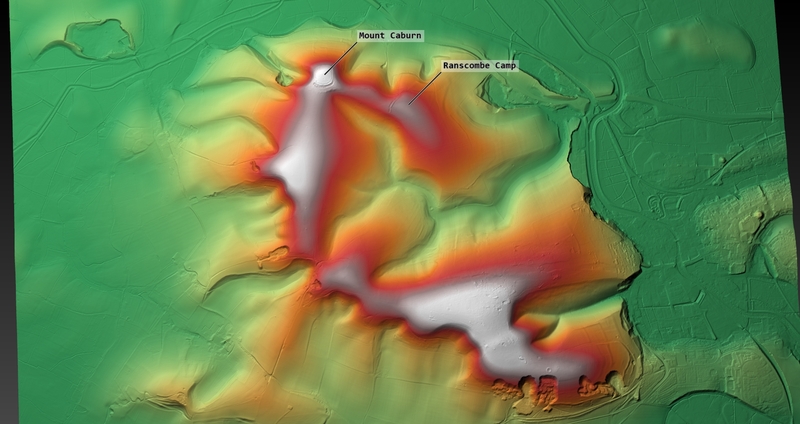 And LiDAR is a great tool to understand landscapes. DD: Where to next for planlauf/terrain? RM: planlauf/TERRAIN was first released at the beginning of 2017. At that time, I couldn’t think of any other features. That rapidly changed when I started getting user feedback after a couple of weeks. And the ideas keep coming, so who knows? planlauf/TERRAIN is, in my opinion, capable of revolutionising LiDAR data visualisation by simplifying the process to the point that the unitiated can get meaningful results by following a couple of (short) tutorials. And no, Rouven is not sponsoring this post. You can trial planlauf/TERRAIN for a month for free, after which there is a one-off payment of 79 € incl. VAT for a non-commercial licence, or 249 € incl. VAT for a commercial licence.